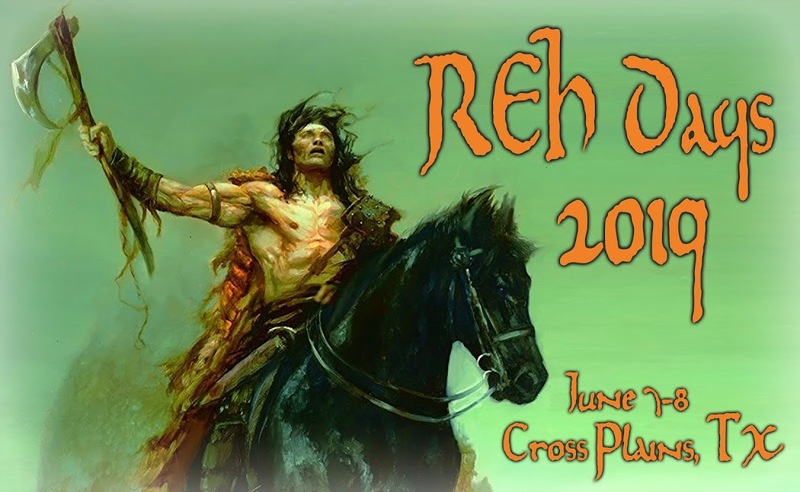 Robert E. Howard Days: Howard Days Coming June 9-10, 2017! Howard Days Coming June 9-10, 2017! As the cold windy snow flies across a big portion of the U.S., we are once again reminded that warmer days are coming! Among those warmer thoughts is Howard Days, appearing at the Robert E. Howard Museum in Cross Plains, Texas this June 9th and 10th. In this, our initial post for 2017, we want to let you know the wheels are turning and the planning process is underway. Please stay tuned to this blog and to the Howard Days page over on Facebook for all the information you'll need to enjoy Robert E. Howard Days. We'll look forward to seeing you in June with all new panels and guests, a couple of extra-special surprise announcements and all the traditional activities that happen every year at Howard Days. And we're adding new traditions every year as well. 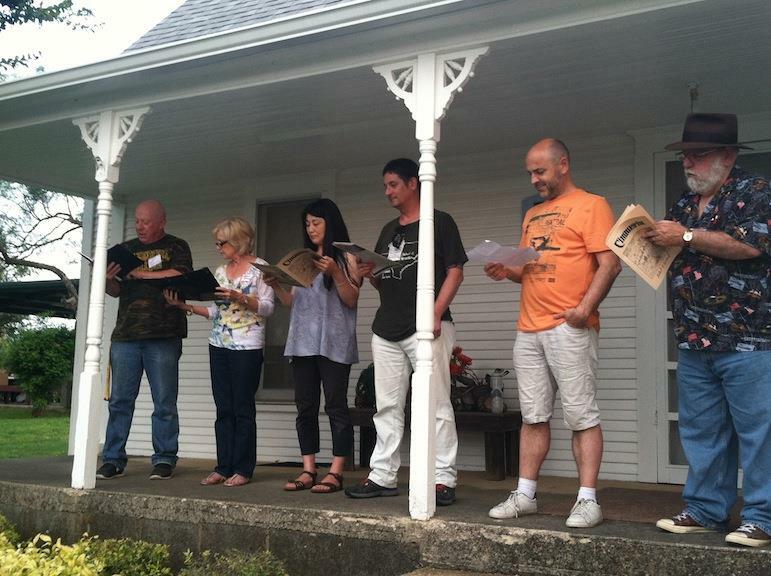 Shown above are the folks who helped turn a yearly reading of Howard's poem Cimmeria into a multi-linguistic happening! From left to right: Kurt Shoemaker (Spanish), Barbara Baum (Italian) Chie Guenther (Japanese), Dierk Guenther (German), Patrice Louinet (French) and Bill Cavalier (English). We hope to add even more languages to this event here in 2017. Hope y'all can be there to hear it! See you in June!